Amarillo, a city in the Texas Panhandle, Is situated in the Potter County. With a population of 197,254, the city houses about 53.8% Caucasian, 32.8% Hispanic, 6.7% African American, 4% Asian, and 2.3% people of multi-racial origins with a median income of about $51,466. Being a densely populated region, it is well equipped with many utilitarian facilities its citizens may need. 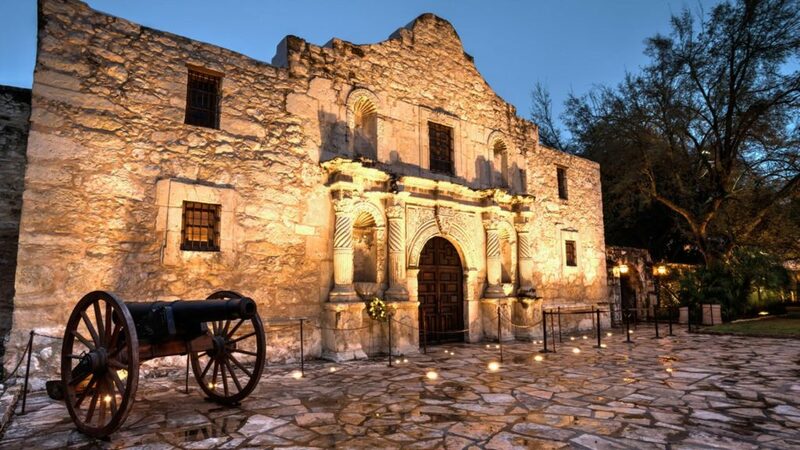 This cultural town filled with some precious elements of history, is one of the most flourishing cities of Texas. But it is one of the major 25 cities in the United States where drug abuse has risen to a dangerous level. For long, this city abused alcohol, opioids and prescription drugs but recently, synthetic drugs such as K2, spice and bath salts, due to their low costs and high availability, have been on a rise. Though a huge segment of the population goes for de-addiction treatment, but the high supply of drugs does not allow this city to curb its drug epidemic. If you live in Amarillo, and have fallen victim to substance abuse don’t hesitate to seek treatment. There are enormous resources in at your disposal. The bulk of users are young adults and teenagers. They are an exceedingly vulnerable group that has been specifically targeted by drug dealers. These young people are mostly recruited with a promise of good earnings as well as ‘fun’. Drugs like heroine, marijuana, cocaine and many club drugs are easily obtainable on the streets and even some shops. Vaping instruments are very conveniently available in retail shops. Drugs like street opioids have been the main focus of abuse but prescription drugs are considered to be the point of initiation. The third stage in this evolution belongs to the synthetic drugs that have many faces thanks to the diabolic creativity of drug manufacturers. One of the reasons for this evolution can be ascribed to the fact that not only is this product cheaper to acquire but they are virtually untraceable in tests. Alcohol is also consumed in high quantities in this city. The easy availability of all these drugs and alcohol has enabled the city to reach a crisis situation. It has been observed by community members and activists that manufacturers of synthetic drugs have been very enterprising and are always taking steps to find a way around laws that may ban or prohibit their product. Every time they face an administrative wall, drug producers tweak the product a little and find a loophole to keep their stuff up and running. Thus, in the last five years and so, synthetic drugs have gone from being manually rolled cannabis cigarettes to opioid tablets known as opioid cannabis. This characteristic of adaptation has made the drug creators very confident, enough to publically sell their product. Many community members have formed activists groups, and at many occasions taken to streets for protesting against a certain shop or venue that may provide their young one’s with synthetic drugs. Their purpose is to bring to light the illegal activities as well as warn the people of the grave danger posed by such drugs. Drug abuse is considered malice because it alters a person’s chemistry for worse. Dependency on drugs may develop as experimentation but may rise to become lethal. Almost every drug can be abused; the degree of dependence may differ. Each drug has different reactionary symptoms but there may be some general symptoms that may tell us if someone is using drugs. The symptoms are -losing interest in work place or school, dearth of interest in self-grooming, increased isolation, noticeable lack of energy, changes in relationships, fluctuations in weight, difficulty in financial management and blood shot eyes along with fatigue. One of the most used substances in Amarillo city is the synthetic drugs which are available in many different forms. Their major symptoms are very severe like seizures, hallucinations, delusions, overstimulation, aggression, suicidal tendency, paranoia, chest pains, overheating in the body and even death. But depending on the composition and construction of the drug, some of the lesser severe symptoms may be anxiety, severe mental turbulence, inability to speak, heart palpitations, restlessness and severe sweating. Symptoms for opioid abuse, one of the other substances widely used in the city, are nausea, slow breathing, blurry speech, mood swings, anxiety attacks and lowered motivation. When a person consumes drugs or alcohol, they experience a rush of dopamine inside the brain and it gives a pleasurable feeling to the consumer. These feelings are so strong that the brain demands it again and soon addiction kicks in, making these feelings induced by drugs as significant to one’s survival as eating and drinking is. Thus, what may begin as experimentation or peer pressure becomes a step towards false self-preservation for the consumers. A person may take to drugs due to various reasons. Commonly known as Risk factors, these are factors that may attribute to the probability of a person taking to use and abuse drugs. Ranging from one’s family history to mental illness to abuse and neglect in one’s life, may push a person towards drugs and alcohol. Statistics such as Substance Abuse Trends of Texas and Drug Control Update for the state show that people start using drugs very early on, even in their pre-teens. This suggests that in the city of Amarillo, peer pressure, the need for experimentation and even performance pressure has been one of the major causes for early drug usage. Many homeless women and men because of their mental illness have also taken to drugs and alcohol, to find an escape. With the amount of deaths by overdose in the previous decade, the community has injected itself in the battle against drugs. They have strongly vocalized their discontent and formed activists groups to work towards this cause. These folks have appeared in front of administrative forums and pressured them into taking appropriate actions. They have also protested on many sites and occasions. The city formed initiatives which aim at providing people with the help that they need. The Amarillo Council of Alcoholism and Drug Abuse is one such venture where people receive free de-addiction treatment. They hold various outpatient programs for women and men, to make their city an epidemic free place. One of their specialties lies in the fact that they do not give away standardized literature to people, but believes in listening to their story and in consultation with counsellors guide people towards a treatment that is most apt for them. Homeless people have greatly benefitted from such competent initiatives. In addition, the administrative authorities of Amarillo have supported the people by initiating collection drives for prescription drugs and making Naloxone, a medicine for avoiding overdose, easily available in majority of pharmacies. They are also constantly focused on hunting the evolution of synthetic drugs with the utmost vigilance. There are several rehabilitation facilities within and around Amarillo city. Though there is a majority of Outpatient treatment services, in the past couple of years the city has tried to increase residential care facilities for its people. The positive aspect of these facilities is that they are well privy to the addiction epidemic in the city and are well prepared to deal with it. They can tackle with addiction related to alcohol, heroin, crack, synthetic and club drugs as well as prescription drugs. With the aim of helping people keeping in mind their context and usage history, many of these treatment centers are especially focused on helping teenagers and young adults by understanding their unique needs. Special care facilities for senior citizens, as well as facilities for people returning back from the war, focus on helping them cope with the changes in their life and help them to not grow towards drug seeking tendencies. Women also are provided with gender specific facilities and treatment plans. Amarillo is home to a flourishing community of Alcoholics Anonymous (AA), Al-Anon and Narcotics Anonymous (NA). The city understands that aftercare is essential and thus, has a extensive assortment of support groups for recovering people. The neighboring cities where similar rehabilitation centers are located are Tulia, Plainview, Clovis, Lubbock and Tucumcari. These places are equally available for the people of Amarillo. Religion or Faith is a vital theme in treatment plans in Amarillo. There are many rehab programs for people based on the Christian faith. The aim is to help people connect with a source that gives them comfort and helps them walk towards healing. Treatment for drugs especially withdrawal may be very challenging and physically painful. Thus, having their faith with them may provide people with the courage and a fulfilling companionship that will assist them to make the right choices for their wellbeing. The city also has faith-based sober homes which allow its clients to invest themselves in their faith on a daily basis to find therapeutic methods to reflect on themselves and realize innovative ways to re-create their lives and careers. Through such a program, people may focus on trying to atone their own actions with their loved ones by understanding the consequences of their drug seeking and destructive behavior through their faith. More about Faith Based Treatment here. The knowledge of rehab centers in Amarillo is easily accessible to citizens through their websites and access line. Anyone in need of help may contact the rehab facility to book an ASSESSMENT in order to understand the path that they must take to get drug free. Being a city with very high percentile of drug abusers, the rehab centers in Amarillo also provide the facility of 24-hour emergency assessment, free of cost. One of the most essential aspects of these de-addiction facilities is that even though they practice the prescribed and certified methodology of rehabilitation for their clients, they are very aware of the fact that every person has unique requirements especially in terms of treatment. Thus, when potential clients come seeking questions, the approach followed by the rehab counsellors and physicians is to answer basic queries but to majorly educate the clients around the exact path they must walk on based on their usage history and present condition. In addition to multi-lingual assessment sessions, clients receive a very empathetic counsellor who in consultation with the clinical team will provide guidance as well as the appropriate solutions. Thus, through a detailed interview around physical as well as mental health history, the client undergoes extensive medical checkup and a psychological as well as social evaluation. Only with all the required patient information in hand, does the team of de-addiction specialists decide how to work along with the client to free them of drugs and alcohol. During the IN-TAKE process, clients are explained what they are required to bring to treatment as well as the rules and regulations they will have to follow to maintain the strict decorum of treatment. DETOXIFICATION is the process of gaining emancipation against the malignant effects of drugs along with alcohol. It involves clearing one’s body of all harmful and toxic residues deposited in the one’s internal system due to contact with drugs for a prolonged period of time, by weaning them off from drugs deposited due to the long usage of drugs. This is attained through medicines and therapeutic practices. This step in the treatment is extremely significant because here, one experiences the symptoms of withdrawal such as vomiting, anxiety, weight fluctuations, hallucinations, insomnia etc. Clients are provided with medical care and constant supervision. A typical detox in Amarillo takes about 28 days, where they will receive medical care but also the right tools to help them battle withdrawal as well as regain control over their body as well as the thinking mind. Withdrawal is a state experienced during detoxification, where while weaning off of drugs people face unnerving craving to use. Some symptoms of withdrawal are anxiety, nausea, body pain etc. These feelings can be overcome via medication and holistic as well as creative activities. Also, Cognitive Behavioral Therapy assists one to overcome old patterns that encouraged drug seeking behavior. The client in inpatient treatment is required to follow a schedule in order to help them to reflect upon their own thoughts, feelings and problems that they have faced. Thus, along with scheduled and supervised medication, their day includes group as well as individual psychotherapy, stress reduction measures, anger management, education around addiction and its prevention, trauma management, training to cope with various malignant issues, Chemical Dependency Rehabilitation, education regarding health and hygiene and lastly, expressive art therapy sessions which may comprise of art, music, and other recreational therapies. Every single person enrolled will be allotted a social/case worker, a clinical team comprising of physicians, psychiatrists, therapists and nurses to assist them in their journey of healing. Rehab centers in Amarillo are very privy to the fact that each and every person requires a custom made treatment plan established in regard with their age, gender, belief system, medical history and drug usage history. Thus, these rehab centers have specialized guidelines and treatment vision for adolescents, young adults, adults, and senior adults. These treatment guidelines diversify further as per a person’s gender , faith, native tongue and profession. So, there are special programs for women, people with Christian faith, people who speak Spanish and those who are in uniformed services such as the army or the navy. Treatment is available for young people starting age 12, and they are induced in to individual, group as well as family therapy, expressive art therapy, de-addiction counselling along with education regarding addiction and process as well as education groups to help them in facing their daily issues. Family members and friends are encouraged to support the client by participating in the treatment and educating themselves about what the client is going through. A treatment plan for senior adults aims at assisting them to make the changes that old age commands of a person. Due to the addition of an array of medication in their lifestyle, many senior adults face the risk of getting addicted to them and thus, the right education enable them to prevent unwarranted addiction. In addition to chemical dependency education and rehabilitation, the treatment program introduces individual and group psychotherapy for them in order to help them to manage emotions and create their own brand of self-esteem. With activities that may help them to organize their thoughts, successfully possess relaxation skills and reclaim the passion in life, senior adults work towards building themselves their new found optimism and vulnerabilities. They are also provided with dietary consultation, occupational therapy and pastoral care. There is a greater majority of outpatient rehab centers in Amarillo. In the Intensive Care and Partial Hospitalization format, each treatment center offers programs for people that allow them to continue fulfilling their daily tasks with ease. This form of treatment is ideal for those may not wish to leave their dependent family and jobs for the course of treatment. Many people who complete inpatient treatment opt for outpatient to continue walking on the path of recovery. This program is also for those whose addiction diagnosis can be taken care of without hospitalization but may require some form of treatment to be able to heal and function properly every day. A person may be enrolled for about 7 to 9 weeks in this kind of treatment plan. A typical treatment plan ranges from 2-4 days a week and allows its clients to go back at night to the comfort of their homes. In the program, people discuss and learn about the spiritual facet of recovering, the process of addiction, individual as well as group therapy sessions, Neo-Linguistic Program Techniques such as coping tools, cognitive facets of recovering, Medical aspects of drug abuse, the role of one’s brain in addiction, self-esteem as well as assertive dialogue, anger as well as stress management, what it is to recover, stages of change, life and relationship skills and aspects of personal responsibility. Rehab centers try to provide every client with utmost attention as well as care and try to work with them in a methodology that is best suited for them. Many facilities provide transportation facilities, refreshments, bi-lingual literature along with counselling and subsidies in treatment fees. Following the 12-steps model of recovery, clients are expected to strictly abstain themselves from drugs and alcohol and put themselves in a supportive environment. They greatly support group therapy sessions and motivate their clients to attend program meetings as well as those hosted by Alcoholics Anonymous (AA) and Narcotics Anonymous (NA). Family members may receive counselling as well and are encouraged to participate in events and activities especially organized for family members of those battling with addiction. Family and loved ones are educated with the same rigor and care as people with addiction are. Amarillo has several sober living residents or halfway homes for people who wish to recover from drugs and alcohol dependence. They invite people over the age of 18 to live in a space where they can successfully move forward from the life of addiction and create a self-fulfilling life for themselves. The residents are encouraged to aim at detaching themselves from all the bad habits that once controlled their lives and to achieve that they are pushed to attend weekly group recuperation meetings as well as invest themselves in their faith. People may get semi-private and private rooms along with laundry facilities and television privileges. They receive appropriate meals and are given transportation for group therapy meetings along with other addiction specific doctor appointments. The staff members of these houses are skilled and certified to assist people who are recovering by providing them timely guidance. They provide their clients with individual and group counselling sessions, life coaching, health and wellness tips and career based skills. They encourage people to devote themselves to spirituality in order to seek maturity and discipline in their lives to formulate a capacity to cope with their troublesome past. All the holistic and wellness techniques are provided to make certain that all drug seeking and destructive behavior that their clients once faced may disappear for good.